Your boss comes to you at the end of the day and wants you to create an analytic web application for inventory management. Your first instinct is probably to get down to business coding. First, you create a sketch board, go through the UX and UI, review all the specifications, start development, QA, develop some more, and then QA some moreâ¦you know the drill. What if I told you that you could do all of that in less than 10 minutes instead? At Sisense Labs, weâre driven by how people will consume data in the future. So, over the past year, we have been creating a framework for developers to create their own analytics and BI applications â packaged BI capabilities for specific needs â that can be placed anywhere. We call it Sisense BloX. The slide may be pretty bare bones, but the idea was there: data allows you to create applications, applications allow you to take concrete actions, and these actions allow you to create more data. The benefit of higher user engagement with the ease of use to support and deploy in a low-code development environment enables companies to become more data-driven by tying business action with their data. As such, they can speed the monetization of their data investments. So what is Sisense BloX? Sisense BloX makes it easier than ever to create custom actionable analytic applications from complex data by leveraging powerful prebuilt templates to integrate application-like functionality into dashboards. Sisense BloX is the next evolution of our Sisense Everywhere initiative in which we unveiled integrations with products like the Amazon Echo and a smart bulb. Itâs another step in Sisense Labâs pursuit of democratizing the BI world and increasing the value of data for everyone. With Sisense BloX, we transform the world of analytics into an open platform that customizes business applications in order to be more efficient with the way that we interact with our data. Letâs break that down step by step. First, the Sisense BloX framework includes a robust library of templates to ensure that you can get started quickly by adding new visualization options or integration points with other applications. That tedious development cycle we mentioned earlier is a thing of the past. Then, because we live in a world where customization is key, you can customize the code of your analytics app using both HTML and JSON. Essentially, what this means is you can take code from anywhere on the web (like, this) and simply add it to a BloX application. This helps non-developers create applications they only dreamed about before and gives developers the UX layer for their BI. And, finally, the Sisense BloX framework includes an easy-to-use interface to expose and access many API capabilities directly in the Sisense UI using standard CSS and JSON. What weâve done is create a low-code environment that makes these APIs accessible to a much wider range of developers and even to non-developers. You can integrate whatever action you want right into your dashboards. Anyone can create an actual BI application using this new UX layer. Sisense BloX is currently available as a plugin in Sisense Marketplace but make no mistake, the vision is clearâsoon every developer will be able to connect data with actions by using a simple coding framework and add buttons, interactivity, animation, and just about anything HTML will allow. Interacting with data is complex. With unlimited use cases and ways to use data, ensuring we provide the right analytical solution in the right scenario is critical. Sisense BloX will integrate BI with UX together in one platform, creating BI apps of all shapes and sizes. 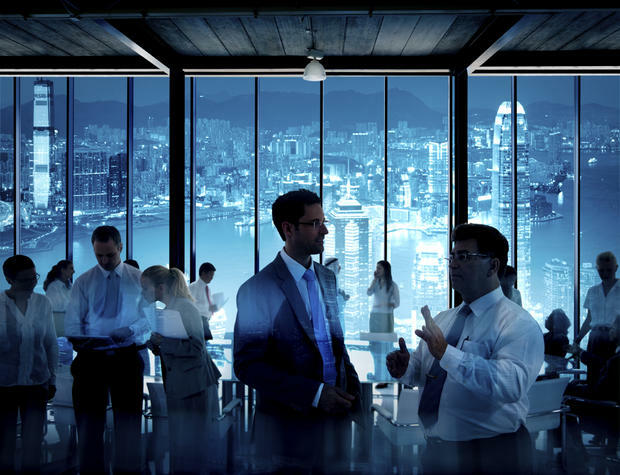 Sisense BloX empowers the data application designers to create business applications with actions wrapped in one container, which create a narrative and have a deeper impact on the organizationâs business offering. With Sisense BloX the paradigm shifts from dashboard designers to analytic applications builders and makers. Maybe you want to create a calculator, a slider, or a form that connects and writes back to Salesforce. Sisense BloX allows for this and much more. Iâm excited to introduce Sisense BloX to the world. When a team of forensic accountants began sifting through refunds issued by a national call center, something didnât add up: There were too many fours in the data. And it was up to the accountants to figure out why. Until recently, such a subtle anomaly might have slipped by unnoticed. But with employee fraud costing the country an estimated $300 billion a year, forensic accountants are increasingly wielding mathematical weapons to catch cheats. âThe future of forensic accounting lies in data analytics,â said Timothy Hedley, a fraud expert at KPMG, the firm that did the call-center audit. In the curious case of the call centers, several hundred operators across the country were authorized to issue refunds up to $50; anything larger required the permission of a supervisor. Each operator had processed more than 10,000 refunds over several years. With so much money going out the door, there was opportunity for theft, and KPMG decided to check the validity of the payments with a test called Benfordâs Law. According to Benfordâs Lawânamed for a Depression-era physicist who calculated the expected frequency of digits in lists of numbersâmore numbers start with one than any other digit, followed by those that begin with two, then three and so on. Most people expect digits to occur at about the same frequency. But according to Benfordâs Law, ones should account for 30% of leading digits, and each successive number should represent a progressively smaller proportion, with nines coming last, at under 5%. In their call-center probe, Mr. Hedley and his colleagues stripped off the first digits of the refunds issued by each operator, calculated the frequencies and compared them with the expected distribution. The accountants identified a handful of operatorsâfewer than a dozenâwho had issued fraudulent refunds to themselves, friends and family totaling several hundred thousand dollars. Thatâs a lot of $40 refunds. But before running the Benford analysis, neither the company nor its auditors had evidence of a problem. Getting the accounting profession to adopt Benfordâs Law and similar tests has been a slow process, but Mr. Nigrini has spent two decades inculcating Benfordâs Lawin the accounting and auditing community, promoting it through articles, books and lectures. Now, the Association to Advance Collegiate Schools of Business emphasizes the importance of analytical capabilities. Off-the-shelf forensic-accounting software such as IDEA and ACL include Benfordâs Law tests. Even the Securities and Exchange Commission is reviewing how it can use such measures in its renewed efforts to police fraud. Recently, at the invitation of the agency, Dan Amiram, an accounting professor at Columbia University, and his co-authors Zahn Bozanic of Ohio State University andEthan Rouen, a doctoral student at Columbia, demonstrated their method for applying Benfordâs Law to publicly available data in companiesâ income statements, balance sheets and statements of cash flow. 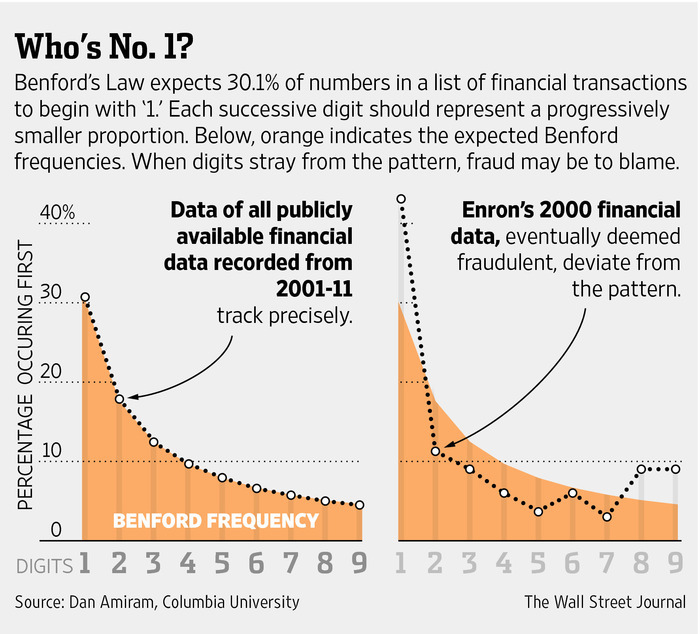 For example, a look at Enronâsnotorious fraudulent accounting from 2000 showed a clear variation from Benfordâs Law. Benfordâs Law isnât a magic bullet. Itâs only one approach. It isnât appropriate for all data sets. And when it is a good tool for the job, it simply identifies anomalies in data, which must be explained with further investigation. In many cases, there are reasonable explanations for incongruities. And with so much attention now paid to Benfordâs Law, it might occur to some hucksters to try to evade detection while still cheating. But Mr. Nigrini said it isnât that simple. The cloud is not âjust someone elseâs computerâ, even though that meme has been spreading so fast on the internet. The cloud consists of extremely scalable data centers with highly optimized and automated processes. This makes a huge difference if you are talking about the level of application software. So what is âcloud-nativeâ really? âCloud-nativeâ is more than just a marketing slogan. And a âcloud-native applicationâ is not simply a conventionally developed application which is running on âsomeone elseâs computerâ. It is designed especially for the cloud, for scalable data centers with automated processes. Software that is really born in the cloud (i.e. cloud-native) automatically leads to a change in thinking and a paradigm shift on many levels. From the outset, cloud-native developed applications are designed with scalability in mind and are optimized with regard to maintainability and agility. They are based on the âcontinuous deliveryâ approach and thus lead to continuously improving applications. The time from development to deployment is reduced considerably and often only takes a few hours or even minutes. This can only be achieved with test-driven developments and highly automated processes. Rather than some sort of monolithic structure, applications are usually designed as a loosely connected system of comparatively simple components such as microservices. Agile methods are practically always deployed, and the DevOps approach is more or less essential. This, in turn, means that the demands made on developers increase, specifically requiring them to have well-founded âoperationsâ knowledge. With a âcloud-nativeâ approach, organizations expect to have more agility and especially to have more flexibility and speed. Applications can be delivered faster and continuously at high levels of quality, they are also better aligned to real needs and their time to market is much faster as well. In these times of âsoftware is eating the worldâ, where software is an essential factor of survival for almost all organizations, the significance of these advantages should not be underestimated. In this context: the cloud certainly is not âjust someone elseâs computerâ. And the âTalend Cloudâ is more than just an installation from Talend that runs in the cloud. The Talend Cloud is cloud-native. In order to achieve the highest levels of agility, in the end, it is just not possible to avoid changing over to the cloud. Potentially there could be a complete change in thinking in the direction of âserverlessâ, with the prospect of optimizing cost efficiency as well as agility. Â As in all things enterprise technology, time will tell. But to be sure, cloud-native is an enabler on the rise. The post Why Cloud-native is more than software just running on someone elseâs computer appeared first on Talend Real-Time Open Source Data Integration Software.